We always enjoy creating pieces that have a sense of ancient tradition and style. This “cigar” ring is such a piece. 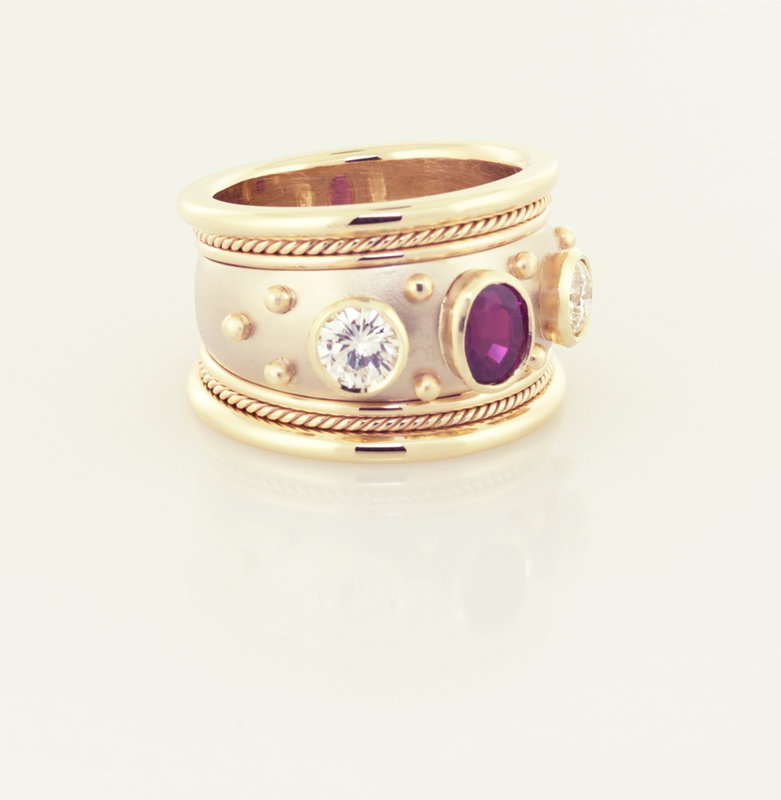 The “Cigar” ring is named since it is reminiscent of a fine cigar band or label on the cigar. This is an entirely hand fabricated ring using the same techniques that jewelers would have used in ancient Rome. Each piece of metal was made separately and soldered together. The bezels around the ruby and diamonds are 14kt yellow gold attached to a domed 14KT white gold ring that has a soft finished texture. On either side of the white gold domed ring are three sets of tiny bands, two plain domed rings and one twisted wire ring. All of these seven rings are then soldered together to create one ring. 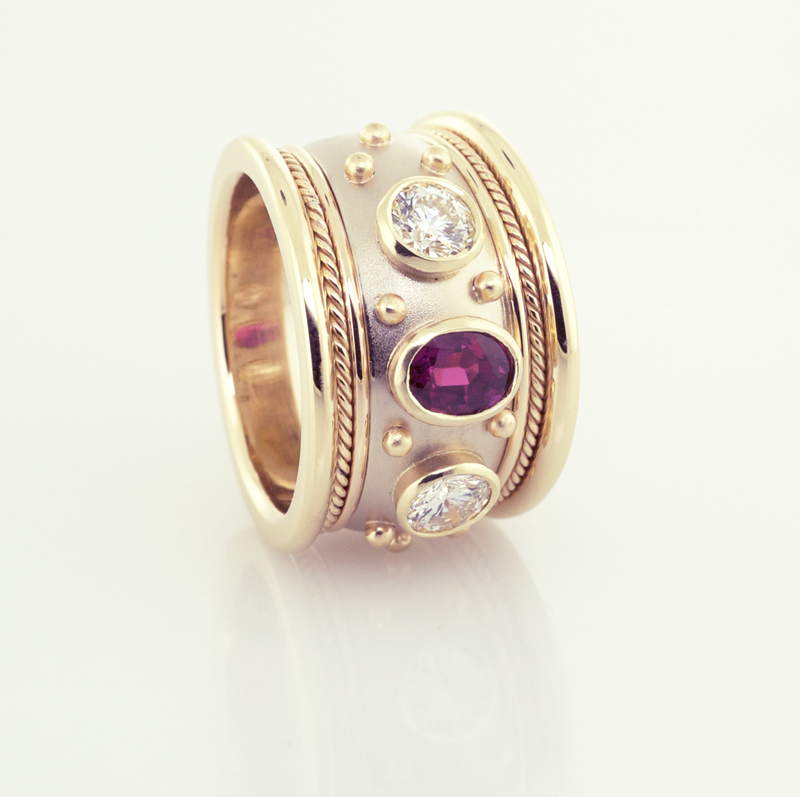 Decorative elements of 14KT yellow gold balls are added to the white gold domed center ring to accent the bezel set oval ruby and round diamonds. 14KT White and Yellow Gold Cigar RIng, set with one .90ct. Oval Cut Ruby and two .33ct. Round Brilliant Cut Diamonds. A copyrighted original by Thomas Michaels Designers, Inc.